Powerful integrations with the world’s leading business platforms, giving you add-ons to further enhance your Hike POS. Establish robust connections with our growing list of partners, all of which are designed to maximise your business productivity. From accounting add-ons to versatile eCommerce solutions, Hike has partnered with renowned business applications, to give you the tools to streamline your business operations. Integrate today, and save time and money whilst boosting your efficiency. Xero is an acclaimed accounting software, that streamlines your business financials with real-time information. Hike integrates seamlessly with Xero to give you unparalleled productivity. Hike automatically syncs real-time information on your store’s daily sales, payment totals, customer details and more into Xero. Keep your contacts and customers in sync between the two platforms. Customer updates flow seamlessly between the two. Gain additional insights into your business with Hike & Xero’s reports on sales, revenues and profit margins. Use either Hike or Xero to invoice and manage payments from customers as well as monitor outstanding purchases and overdue accounts. Xero is easy and powerful to use, making it an efficient solution for all your retail needs with Hike. QuickBooks Online is a powerful business resource tool that lets you do everything from track sales, to run your payroll. Hike fully integrates with QuickBooks making your store’s operations run faster. Hike will sync daily totals by product type and cost of goods sold, giving you greater scope of understanding how your business is tracking. Easily import all your accounting and customer information from QuickBooks Online into Hike. An expansive, yet simple to use dashboard makes it easy for you to see how well your store is doing. Create customizable invoices, complete with your company’s branding to engage with your customers further. Work anywhere, anytime with your mobile device, gaining real-time insights in your business no matter where you are. Shopify is the ultimate eCommerce solution businesses, engineered for reliability and scale. Hike is readily available to connect with Shopify, sharing everything from products to stock in real-time. Setting up Hike and Shopify’s integrations takes a matter of minutes, after which you can start selling your Shopify products in-store with Hike. Choose what new products will be sold online with Shopify, only in-store with Hike POS or both. Develop new, resourceful insights of your customer base on both online and in-store sales channels to make smarter business decisions. View all avenues of your business with Shopify and Hike in real-time. Instantly track stock movement and your latest sale transactions. BigCommerce is an expansive eCommerce platform that strengthens businesses to become a successful online store. Hike offers flawless integration with BigCommerce to enhance business productivity. 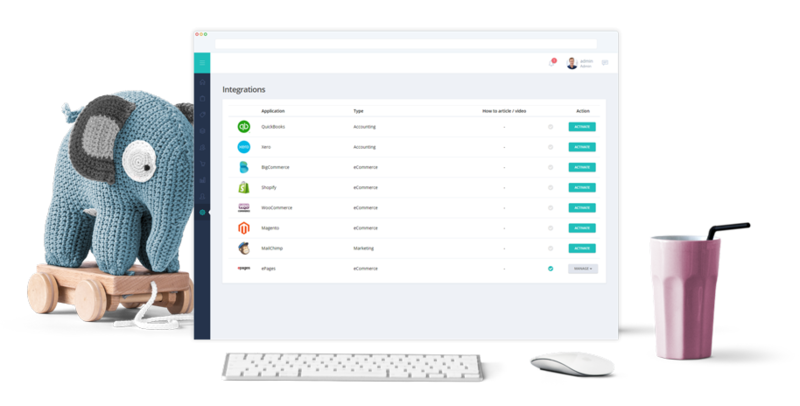 Connect Hike + BigCommerce to create a streamlined retail ecosystem across all sales channels, that’s intuitive, fast, and designed to ‘hike up’ sales. Inventory, sales orders and customers are instantly synced from Hike to BigCommerce and vice versa. Your data is centrally located, meaning orders from your online store and brick & mortar store remain consistent, and you get real-time inventory updates. Scale your business with Hike + BigCommerce integration. Open new outlets, and even sell internationally with ease. BigCommerce makes it easy to perform tax and shipping calculations. Orders placed in your BigCommerce store are instantly synced to Hike, giving you the options of offering in-store pick-up and exchange, making life easier for your customers. WooCommerce is a complete, customisable eCommerce solution, that’s perfect for building your online business. Hike gives you the power to combine a potent online platform with a brilliant point of sale. Hike and WooCommerce integration works to complement each other, enabling you to control and manage every aspect of your business. Manage your products across all sales channels, with Hike’s inventory management system that makes adding, editing and deleting items easy. No more double entry. Any orders placed in WooCommerce will be immediately synced to Hike, and vice versa. Never lose sight of your sale transactions or inventory counts, with our full integration. Link customer profiles as any orders placed on WooCommerce will automatically be given new accounts with Hike, that links their entire purchase history. Select the inventory you want to appear on your online store. Whether it’s your entire range of products or select products form your outlets. MailChimp is a leading marketing tool for business around the world, making it easier to engage with customers. Hike integrates seamlessly with MailChimp, offering robust marketing support. Hike POS + MailChimp offer expansive customer profiles and groups that can then be used to run targeted newsletter campaigns. Autosync your Hike customer data to MailChimp, giving you’re a mailing list that’s updated in real-time. MailChimp offers advanced reporting about your website activity and advertising content. Use in conjunction with Hike’s sales reports to make smarter business decisions. Easy to make campaigns based on your store’s products. Create a marketing campaign that’s in keeping with your store’s brand.